If you’re without a team Dallas Diesel will be holding tryouts for the college tour for 2005. Read more info here. I would like to know when and where you are holding tryouts and how do I go by getting to tryout. If you want to you can call me at 214-343-0214. My name is Patrick Jackson. I am really interested, so if you could call me when you are not busy, please call me. Thank you. My name is Shauntai Greer I am 22 years old and I very great defense basketball player that loves the game. I am very interested in founding out information about tryouts or any camps that are available. My number is 901-573-6941 or 901-785-6816 ( sgreer23@hotmail.com). Thank you for taking the time out your day to read my reply. My name is Carl Brown, i am 22 year old still looking for the chance to play college ball. I;m about 6’2 190 with the skills of a combo guard. I’m also interested in any kind of camps or tryouts could you please give me a call. am a boy of 16 years old and interested in ur tryouts. I’m trying to find some overseas exposure camps for basketball I’m from Louisville, KY and I’ve played high school basketball as well as college I’m interested in into finding out more so please notify me and let me know thanks. 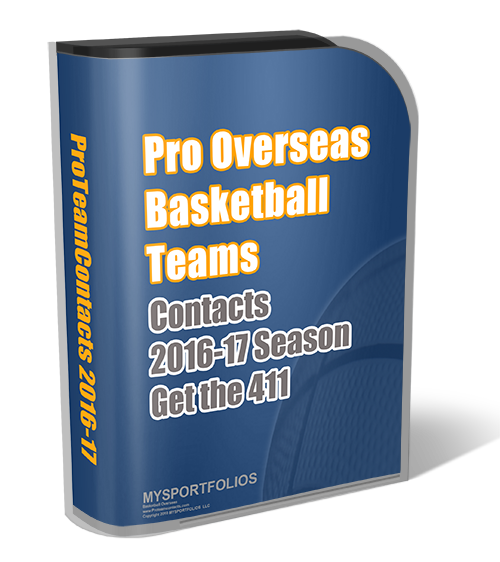 I am a scout and i need players that are ready to play professionally anyway in the world…………..so if you interested hit me up okay………. Please tell me when and where you will hold your next tryouts. I can and love to play play basketball and would like to be contacted. I am a defensive force at the 3, 4, and 5 position and can score from either. You will not be disappointed in my performance….hope to hear from you. My name is Yves Brevil and I am interested in Playing for your team and coming to camp and trying out and if you would like to get in contact with me my phone number is (516)439-9194 looking foward to hearing from you…. Hey my name is LaCheryl Banks. I’m Very intersted in playing for your team and coming to camp and trying out. I’m 5’7 and i’ve been playing ball all my life. Im a great defense player and i try to get everyone involved when i have the ball. If you would please contact me at (678)462-5651. Thank you for your time and i hope to hear from you soon. My name is Eugene R. Mosley, I am very interested in playing ball for your team a friend of mine told me about your team and I would like to come to a try out. I am currently working out on my own and I have been all year. Please call me at 713-301-8215. I am really looking forward to the opportunity.